THE law of God, given by Moses to the Jews, ordained that a woman, after childbirth, should continue for a certain time in a state which that law calls unclean, during which she was not to appear in public, nor presume to touch anything consecrated to God. This term was of forty days upon the birth of a son, and double that time for a daughter. On the expiration of the term, the mother was to bring to the door of the tabernacle, or Temple, a lamb and a young pigeon, or turtle-dove, as an offering to God. 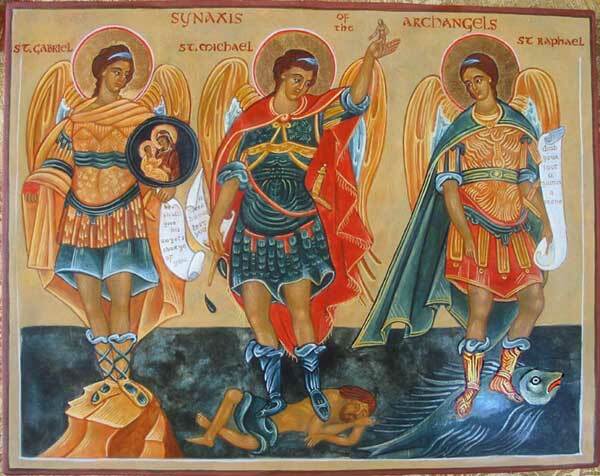 These being sacrificed to Almighty God by the priest, the woman was cleansed of the legal impurity and reinstated in her former privileges. Our Saviour having been conceived by the Holy Ghost, and His blessed Mother remaining always a spotless virgin, it is evident that she did not come under the law; but as the world was, as yet, ignorant of her miraculous conception, she submitted with great punctuality and exactness to every humbling circumstance which the law required. Devotion and zeal to honor God, by every observance prescribed by His law, prompted Mary to perform this act of religion, though evidently exempt from the precept. Being poor herself, she made the offering appointed for the poor; but; however mean in itself, it was made with a perfect heart, which is what God chiefly regards in all that is offered to Him. Besides the law which obliged the mother to purify herself, there was another which ordered that the first-born son should be offered to God, and that, after its presentation, the child should be ransomed with a certain sum of money, and peculiar sacrifices offered on the occasion. 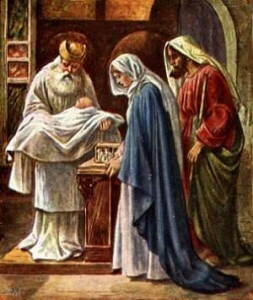 The ceremony of this day was closed by a third mystery—the meeting in the Temple of the holy persons Simeon and Anne with Jesus and His parents. Holy Simeon, on that occasion, received into his arms the object of all his desires and sighs, and praised God for being blessed with the happiness of beholding the so-much-longed-for Messiah. He foretold to Mary her martyrdom of sorrow, and that Jesus brought redemption to those who would accept of it on the terms it was offered them; but a heavy judgment on all infidels who should obstinately reject it, and on Christians, also, whose lives were a contradiction to His holy maxims and example. Mary, hearing this terrible prediction, did not answer one word, felt no agitation of mind from the present, no dread for the future; but courageously and sweetly committed all to God’s holy will.